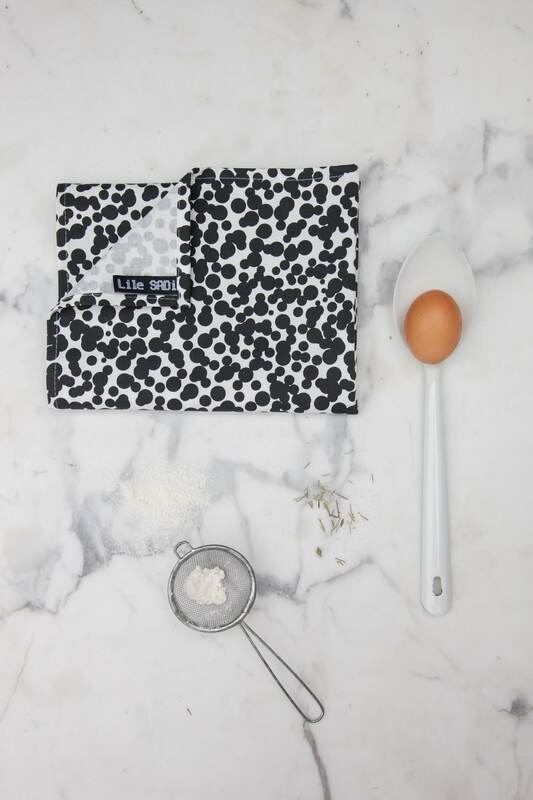 DOTS tea towel in elegant black for minimalist kitchens. The design is inspired by the Memphis Milano style. 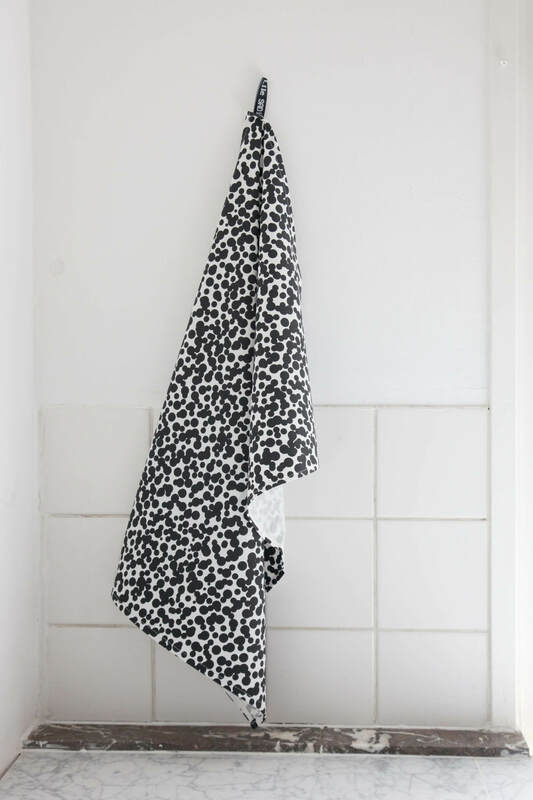 All LileSadi interior textiles are made by the Dutch social enterprise MadeinHavens.